Kindle loves this project because... Antena has the unique ability to mesh artistic expression with language justice in the form of accessible and groudbreaking projects. 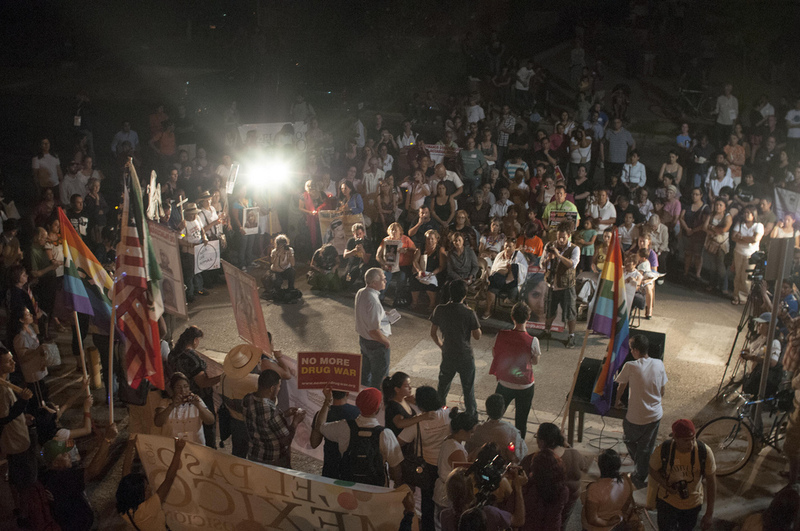 Their visionary tactics act as a call to action for linguistic risk takers willing to communicate authentically across cultural barriers to move towards the just world we seek. It's not always easy or clear how to leave the comfort zone of your own language, but Antena makes the process fun, freeing, engaging and essential. 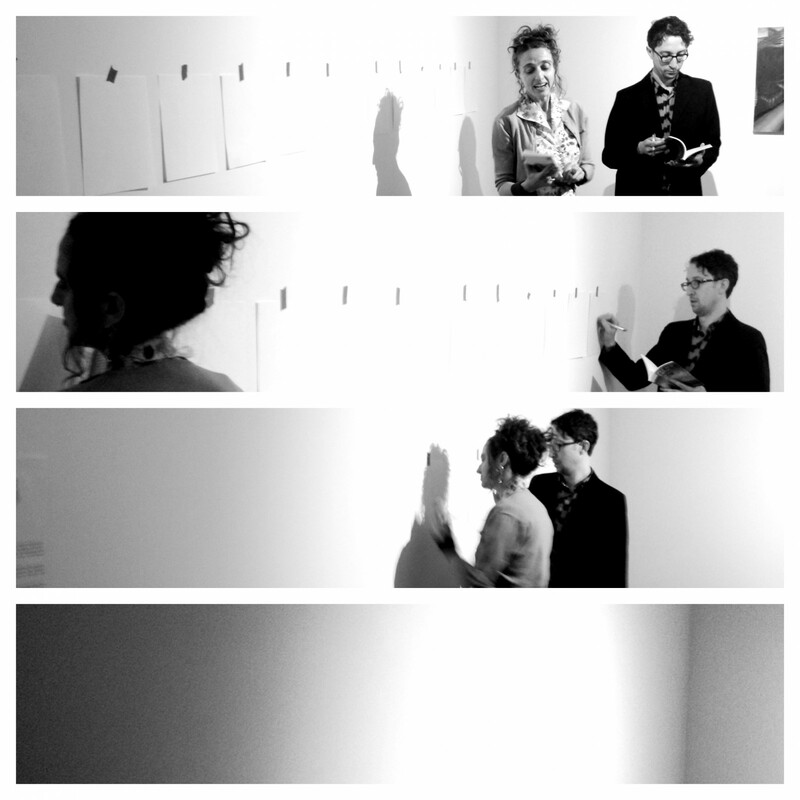 Antena is a collaborative co-founded by Jen Hofer and John Pluecker in 2010. Antena does language justice and language experimentation. What is language justice? Read this interview Nancy Wozny of arts + culture tx did with Antena to see how we answered that question. What is language experimentation? We wrote A Manifesto for Discomfortable Writing to remind ourselves to use language as a spark for radicalizing our own thinking, and then we devised a discomfortable writing and performance practice as an experiment in discomfortable art-making. How does our work manifest? 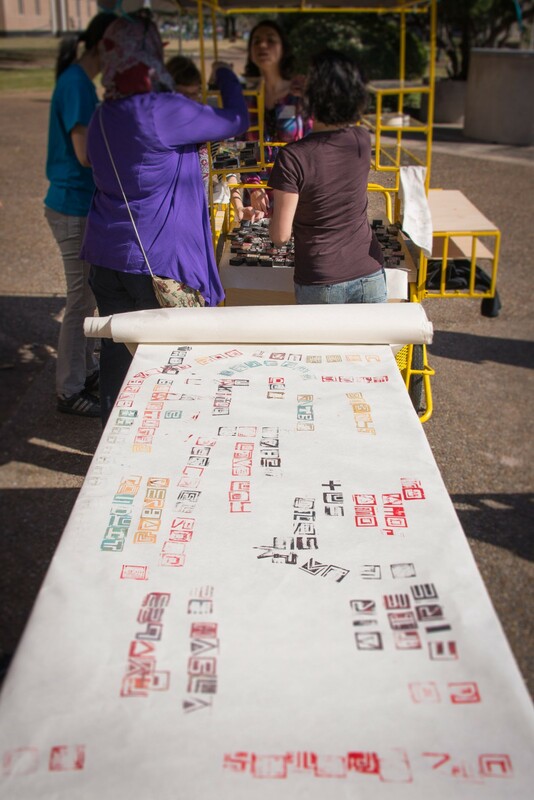 In the past year we have facilitated workshops, co-taught classes, created writings, made translations, enacted performances, interpreted a range of bilingual events, and fabricated bilingual books, some of which were photographed in this interview with Alex Barber for “Meet Your Maker Monday” on the Houston Makerspace Blog. 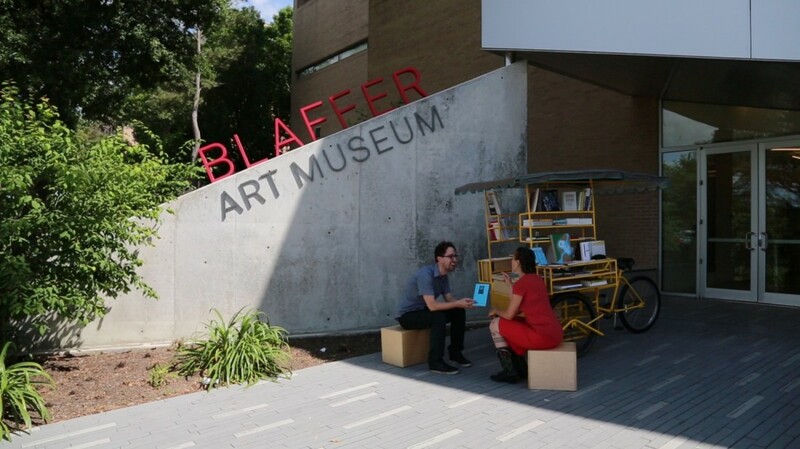 From January to May of this year we were in residence at Blaffer Art Museum at the University of Houston, with an installation that featured over 2000 books made by more than 100 small independent presses in the U.S. and Latin America. The books were primarily innovative texts by writers of color as well as queer, genderqueer and feminist writers; writing from all over the world in translation into English; and experimental writing in Spanish from Latin America. 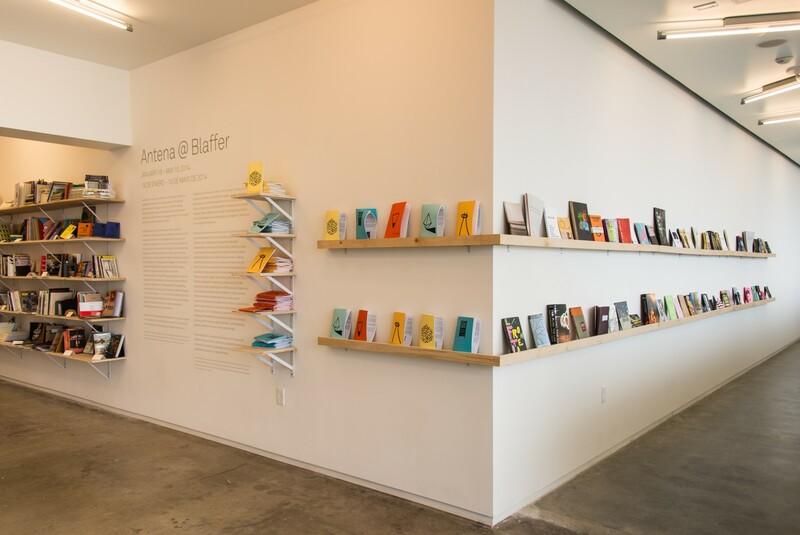 The books shared space with works by 11 artists who make text-based visual work—5 local Houston artists and 6 artists from elsewhere: Chile, Guatemala, Mexico, and the U.S. You can take a brief video tour of our installation as part of this interview Caleb Beckwith did with Jen for The Conversant. Kindle Project support is making it possible for Antena to expand our language justice work in Los Angeles, where we just formed a satellite collective called Antena Los Ángeles to do multilingual organizing locally—Antena Los Ángeles collective members are Ana Paula Noguez Mercado, Jen Hofer and Miguel Morales Cruz. 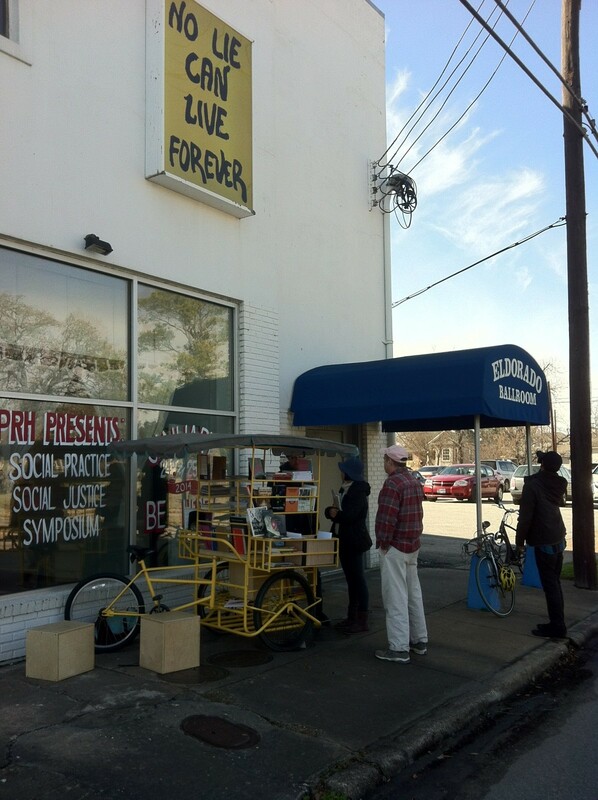 Jen will bring the AntenaMóvil from Houston to Los Angeles, where she’ll retrofit it to be a bit more hill-worthy than it currently is, and use it as a tool for raising awareness about language justice and as a resource for other artists and activists. Stay tuned for news of the Antena Los Ángeles page on Antena’s website, a new video of Antena’s installation at Blaffer Art Museum in Houston TX, and news of the travels of the AntenaMóvil! What kind of world do you imagine with language justice at its core? How does language justice function in your life? What kinds of cross-language communications do you have on a regular or irregular basis? Have you ever heard a presentation or performance in a language other than one you speak? Or had a conversation in real time with someone with whom you don’t share a language? How might you think about incorporating multilingual space into some of the contexts you inhabit or the organizations you support? Read Antena’s pamphlet How To Build Language Justice; what kind of world do you imagine with language justice at its core?